During the holidays we like to do a lot of entertaining. Usually we have friends over for dinner a few times and then have one big holiday party. No matter what the occasion, I have a large repertoire of holiday party recipes. Of course my favorite recipes to make for everyone are dessert recipes. I’ve been on a kick of making individual desserts because they are so much simpler to serve to guests. One of my favorite things to do at the holidays is to put a fun twist on a classic dessert. This holiday season my signature party dessert is going to be Pineapple Upside Down Cake. But these aren’t just your grandma’s pineapple upside down cakes…these ones finish off with a little smoky heat. The secret is literally in the sauce; the Tabasco Chipotle Pepper Sauce. 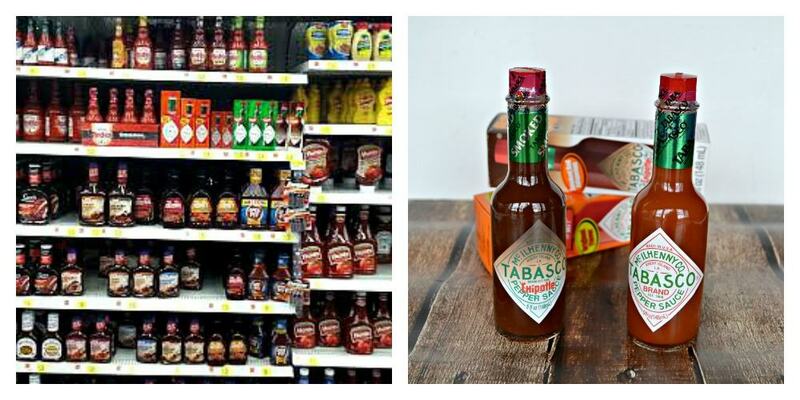 I used to think that Tabasco Sauce was just a condiment but now I know better. It adds a smoky and savory flavor to dips, meat marinades, and even desserts. It’s a great way to spice up traditional recipes. 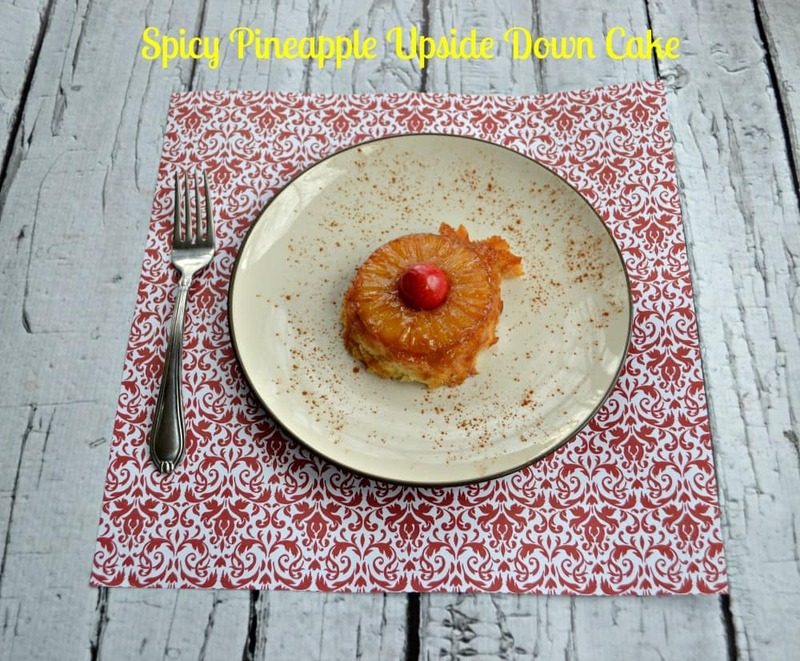 I got the idea for the Spicy Pineapple Upside Down Cakes when I was shopping at Walmart. 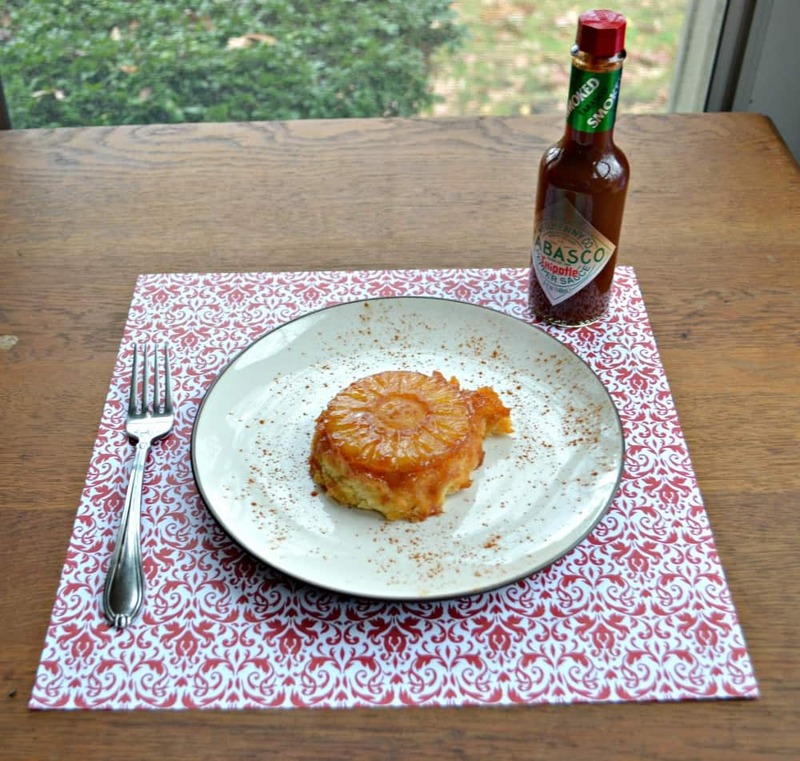 I wanted to add a little spice to my cakes and when I saw the Chipotle Pepper flavor Tabasco sauce I just knew it could give the caramelized pineapple a smokey kick of heat. I was also excited to use my individual Pineapple Upside Down Cake molds. 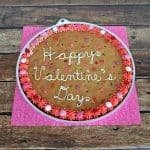 You don’t have to use these molds but they sure are cute! Mini Bundt pans or even ramekins would work to hold the individual cakes. I made the recipe how I normally do except for the caramelized pineapple topping. As I was making the caramel sauce I added in a bit of the Tabasco Chipotle Pepper Sauce. When I first tasted the sauce I wasn’t sure how I felt about it but once the pineapple was added to the sauce, it was amazing. 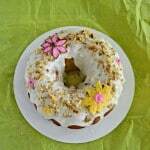 The cake is vanilla flavored with a bit of the caramelized pineapple chopped up and added to it. The topping is the caramelized spicy pineapple. There is a subtle smoky flavor to it and after eating the pineapple there is a small amount of heat. It’s a delicious ending to a fabulous holiday dessert. I can’t wait to serve these at our holiday party this year. 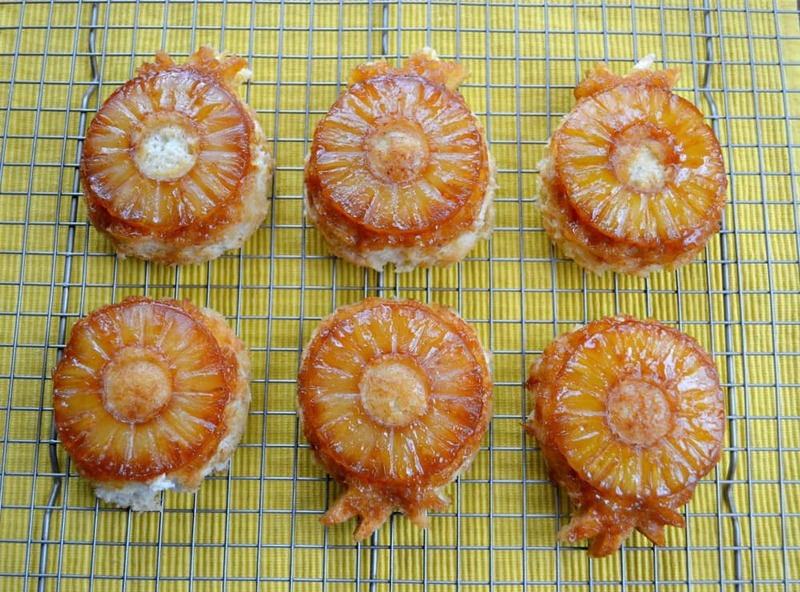 Individual Pineapple Upside Down Cakes with a spicy chipotle finish. Preheat the oven to 325 degrees. Prepare 6 individual Pineapple Upside Down Cake molds, or 6 ramekins, or 6 mini Bundt pans by spraying with cooking spray. Set aside. In a medium skillet heat the brown sugar, butter, pineapple juice, sea salt, cinnamon, and Tabasco Chipotle Pepper Sauce over medium heat until boiling. Allow it to boil for 3-4 minutes or until thickened. Add four pineapple rings to the brown sugar mixture and cook for one minute per side. Remove from pan and place in the bottom of your molds, ramekins, or Bundt pans. Place four more pineapple rings in the skillet and cook for one minute per side. 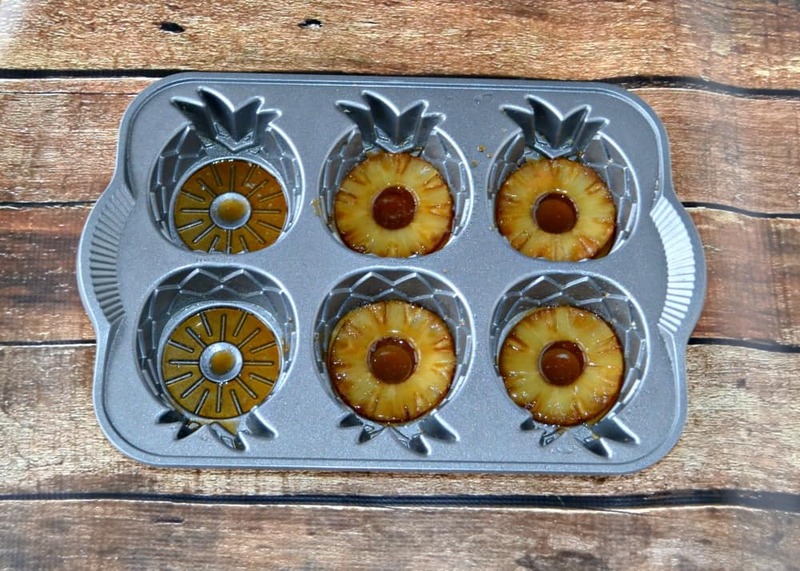 Place two of the pineapple rings in the bottom of your molds, ramekins, or Bundt pans. Remove the remaining two pineapple slices and chop. Set aside. 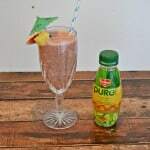 To make the sweet and spicy sauce add the pineapple juice, brown sugar, and Tabasco Chipotle Pepper Sauce to the pan that already has the brown sugar mixture in it. Bring to a boil and boil for 2-3 minutes or until thickened. Remove from heat and set aside. In a large bowl cream the butter and sugar. Add in the egg and mix well. Stir in the vanilla and sweet and spicy sauce. In a medium bowl combine the flour, sea salt, baking soda, and cinnamon. Add half the flour mixture to the butter and sugar mixture. Stir well. Add the sour cream to the mixture and stir until combined. Add the remaining flour mixture and mix until smooth. Divide the batter between the 6 molds, ramekins, or mini Bundts. Each should be filled ⅔ of the way full. Bake for 30-35 minutes or until a toothpick inserted into the middle comes out clean. 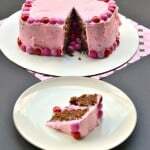 Allow the cakes to cool for 5 minutes then run a butter knife around the edges of the cake and remove from pans. Cool for 15 minutes. How wonderfully fancy and fun! Love it. 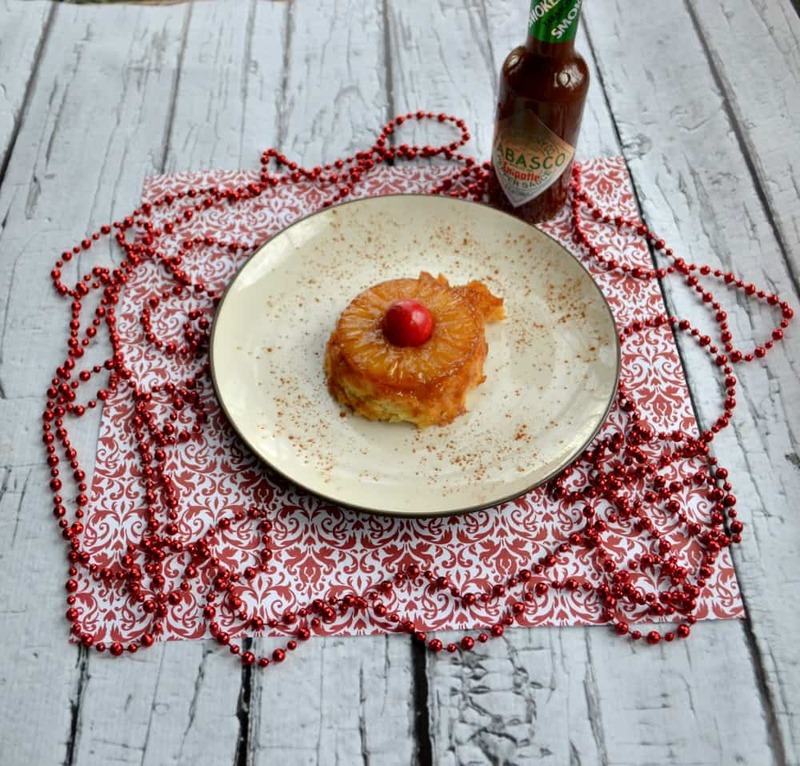 I never would have thought of adding Tabasco to pineapple upside down cake. You’ve intrigued me.